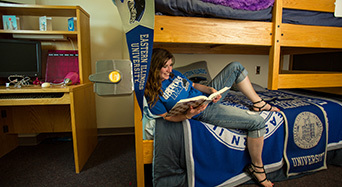 The Residential Learning Communities allow students to create a "home away from home” environment while in college. living in our Residence Halls. With 11 residence halls, 2 apartment complexes (University Court and University Apartments), and Greek Court, you’ll be sure to find a housing option that fits your needs. Living on campus is a wonderful experience for our students and our communities. We take pride in focusing on student development both inside and outside the classroom. Through departmental programs like the Panther Success Initiative, we help students in their personal, academic, and professional development. 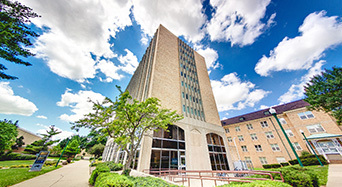 Through organizations like hall council, the National Residence Hall Honorary, or the Residence Hall Association, our caring and dedicated team of professional and student staff members are always available to help students. At Eastern, we are all in on your success. 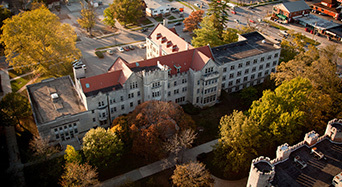 When you live with us on campus, be assured we care about you as a member of the Panther Family. 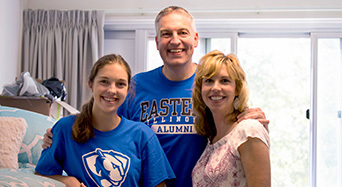 Join EIU student Asia, a Panther Pal, helping Freshmen move into campus. Every year each residence hall builds a boat from duct tape and cardboard and race across the Campus Pond as a part of ROCFest. Saving up scraps of cardboard for this event starts at the beginning of the semester!